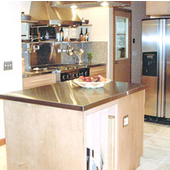 Choosing Your Countertop: Designing your kitchen can be both complex and extremely rewarding at the same time. Since the kitchen is the heart of your home, you want to create a space that is functional, comfortable and aesthetically pleasing. 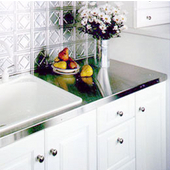 Choosing the right countertop can make all the difference to your kitchen. 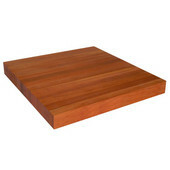 End grain butcher block is "true" butcher block made in the old-fashioned way to withstand chopping, dicing, and cutting. 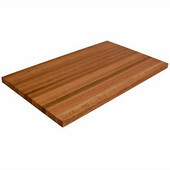 It is the most versatile of any type of cutting or chopping board. End grain blocks are made by usig glue and spaples to combine many pieces of wood with the grain of the wood facing up. 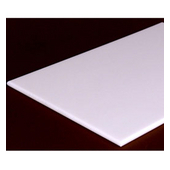 They require more work to produce, are more durable and are often used in professional & commercial kitchens, cutting boards, chopping blocks and residential kitchen islands. 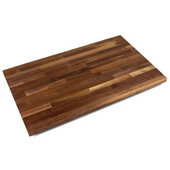 This type of butcher block has a checker board appearance. 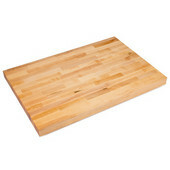 If you have only one board in your kitchen, this is the best choice all around. 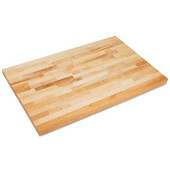 Edge grain, or long grain butcher block, is used to make the majority of cutting boards sold throughout North America today. 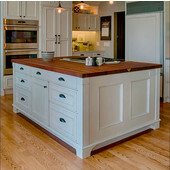 Edge grain butcher block is constructed by gluing many pieces of wood together. 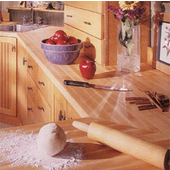 The grain of the wood in long-grain or egde grain blocks runs long ways, or horizontal with the work surface. The edge grain is turned up, and this is the hardest portion of a hard maple log or board, making it ideal for light dicing and cutting. 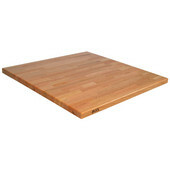 This type of butcher block is easier to produce, is more affordable, and is used in countertops, table tops, work benches and 95% of the products referred to as butcher block.